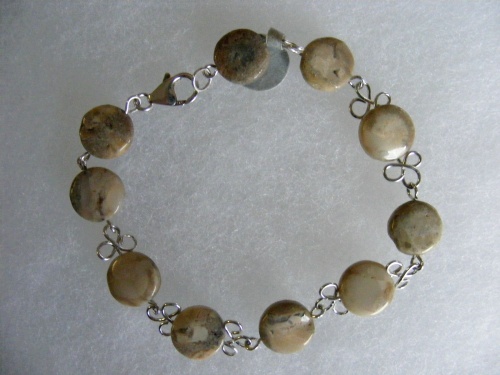 This pretty bracelet is made from riverstone gemstones. They are embellished with sterling silver fleur de lis designs on each end of the stone. They are a pretty beige color which will match with any color outfit thus making it very practical. Piece measures 8".